Keva Bethell is an avid researcher who grew up in Nassau, Bahamas. She earned her Bachelor of Science in Biology (with a minor in Biochemistry) from Oral Roberts University in Tulsa, Oklahoma. She earned her Master’s in Public Health from the University of Oklahoma, where she was inducted into the Xi chapter of Delta Omega Society, the public health honorary society. She has always had an affinity for research, but only considered it as a career after earning her BSc. 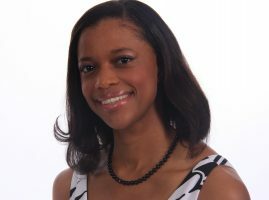 While earning her MPH, she worked as a student assistant at the Oklahoma State Department of Health, in the Injury Prevention Services. Her duties included abstracting Medical Examiner reports and entering into the National Violent Death Reporting System (a database maintained by the Centers for Disease Control and Prevention). After realizing the stark contrast between violent deaths that occurred in Oklahoma and those that occurred in the Bahamas, she successfully carried out a comparative study of homicides and suicides in Oklahoma and the Bahamas. Upon returning home to the Bahamas, she started working along with Dr. David Allen, who at the time, had put together a task force to investigate the suicides that occurred in the country. In three months, Keva collaborated with the Central Detective Unit to abstract all suicide cases that occurred in a 14 year period. In addition to this, she carried out a national survey, concerning suicide, which had never been done before. She compiled a report which was presented to the Minister of Health. Her report is now a published paper in the Global Journal of Human Social Sciences. For the last five years, she has been the Director of Research for ‘The Family: People Helping People’ project, a community based program offering free group therapy in inner city communities. Her duties entail data collection, writing reports, abstracting praxes and making presentations concerning the program. During her tenor with the program, she has abstracted over 5,000 reports, analyzing them for pertinent themes presented in various group sessions. Her thematic analysis has been published in the Emergency Medicine Open Access Journal. She is also one of a group of authors who published a paper in the Journal of Psychotherapy Integration, concerning a Pilot Study carried out on the Family Project and an adolescent thematic analysis which was published in General Internal Medicine and Clinical Innovations. Additional papers co-authored by her included: Anger and the Evil Violence Tunnel, published in the Journal of Psychotherapy Integration, A Resocialization Intervention Model, published in Clinical Case Reports and Reviews, An Instrument for Assessment of Longitudinal Community Resocialization, published in the Journal of Trauma and Treatment and A Resocialization Intervention Model in the Prison, published in Sociology International Journal. Keva aspires to pursue a Ph.D. in Epidemiology, and would like to one day work for a global entity. Her two favorite past-times are reading and exercising. She is a young lady of faith, and enjoys spending time with her family.